I got Nails Inc's Sparkle Like A Unicorn duo for Christmas, from my wonderful brother, I LOVE them and I've warn these polishes so much since getting them. 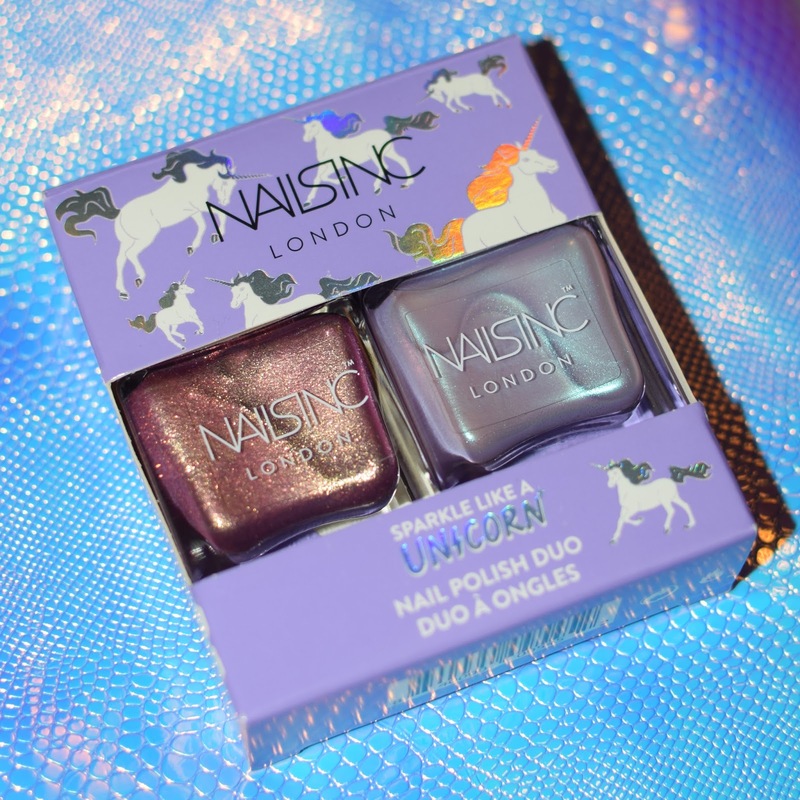 The two polishes are packaged in a gorgeous purple box covered in holo unicorns. The bottles are each 14ml. 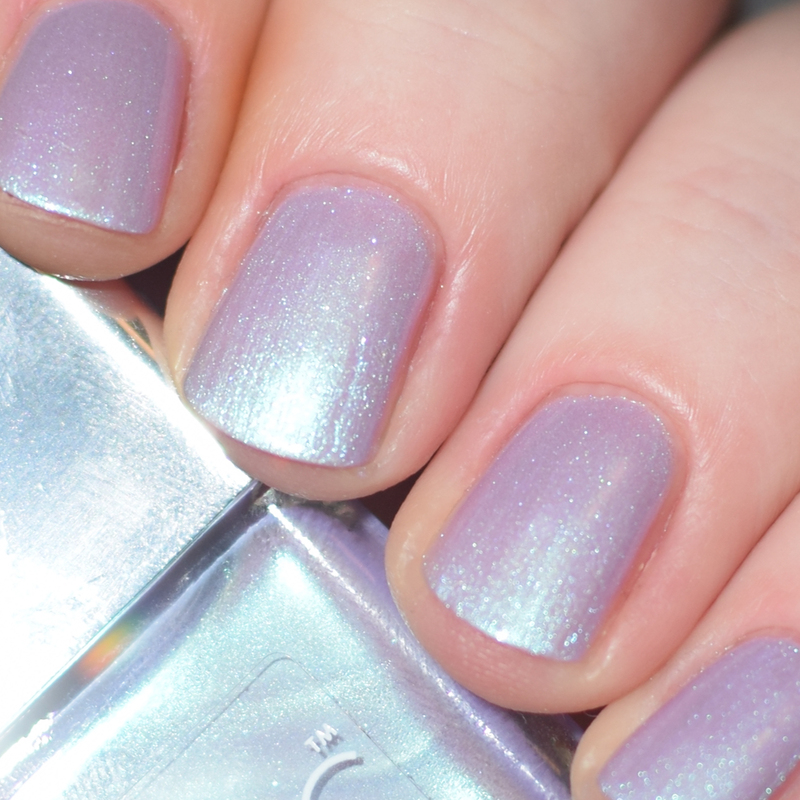 Rainbow Wishes is a beautiful iridescent polish, with a colour-shifting shimmer. 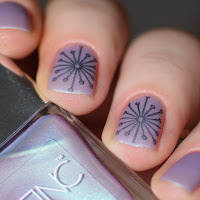 The polish shifts between blue and purple-y pink and everything about this polish screams unicorn. 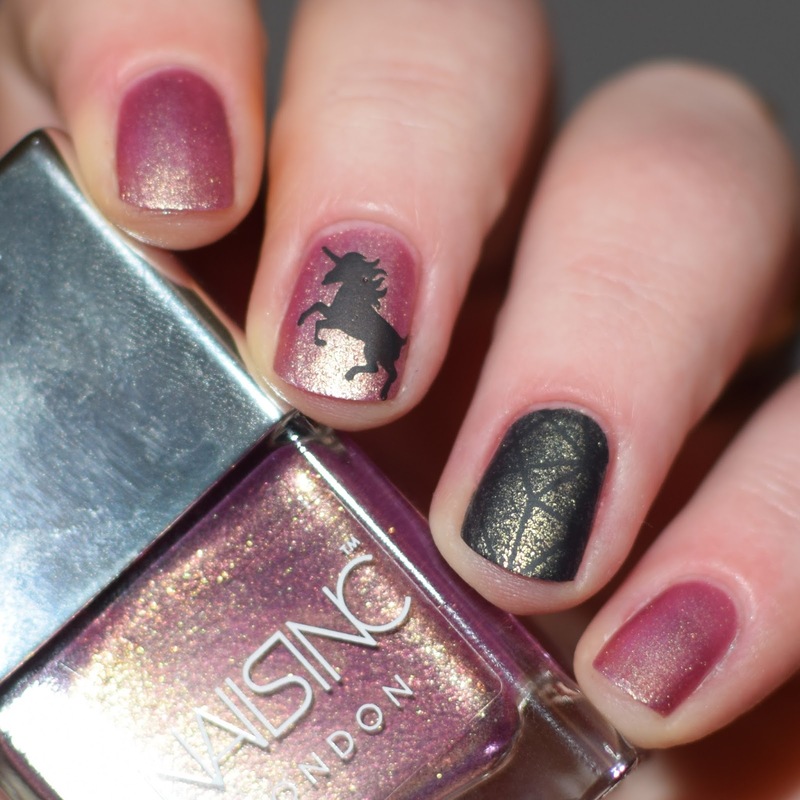 Like most iridescent polishes, in quite sheer. I can just about get away with 2 coats (although I always wear 3 of this polish for maximum coverage), but I have shorter nails... If you have long nails then I'm assuming this polish is going to show a lot of your nail line. I recommend wearing a white, pink or purple base underneath (black would make for an interesting effect too). 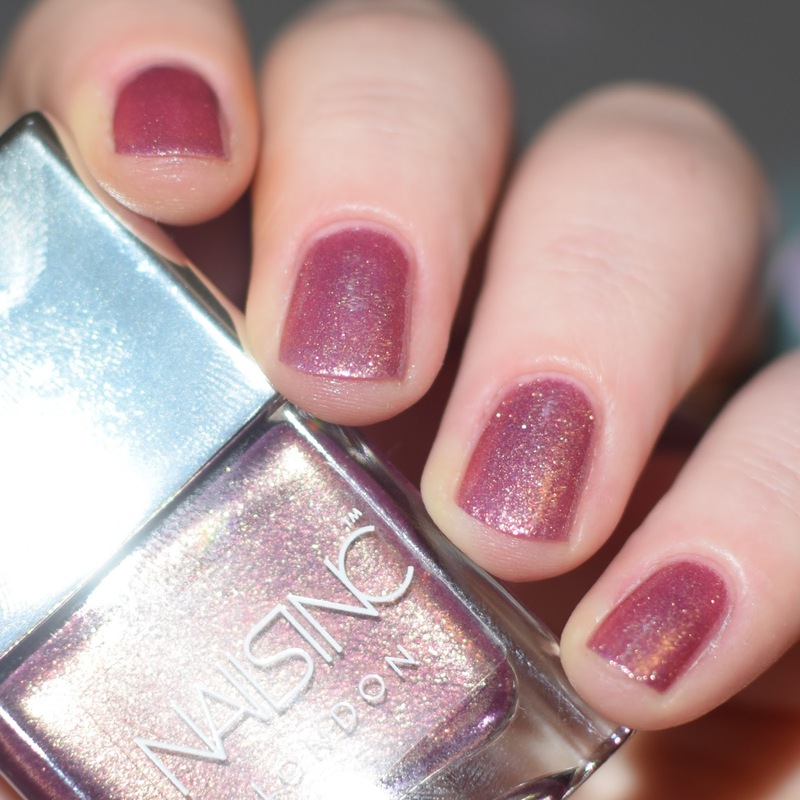 Dream Dust is a stunning glitter polish. 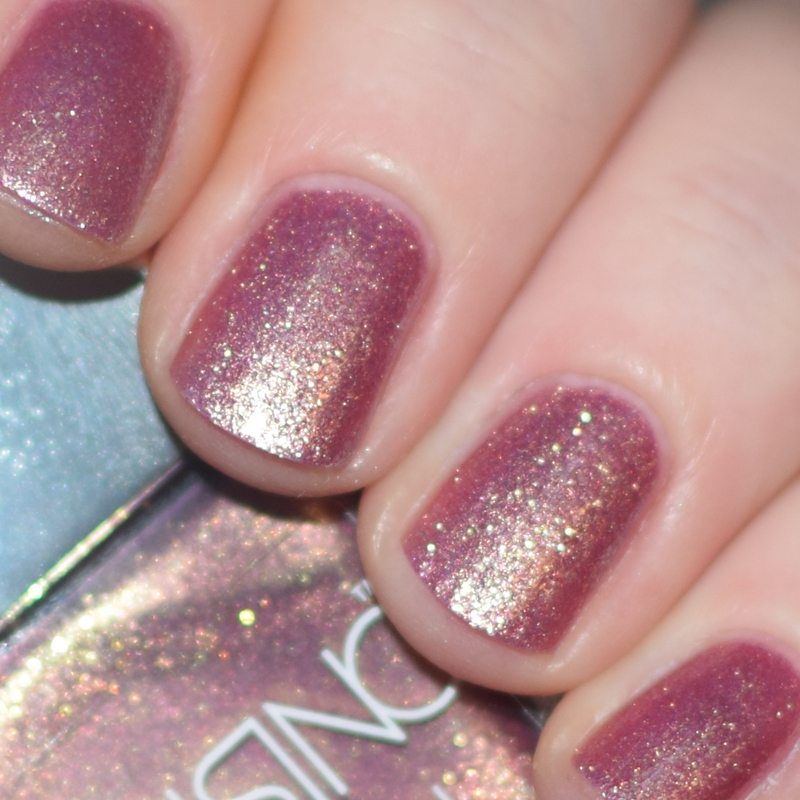 This polish is packed full of gold flakes, in a pink jelly base... resulting in probably the most beautiful rose gold polish I've ever seen. This is a very unique polish and is my favourite of the two. 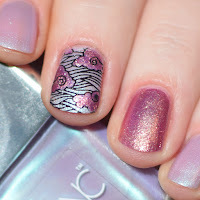 The polish is basically opaque in 1 coat on my nails, but I prefer 2 coats to fully build up the intensity of the colour. This being a glitter polish is it a bit of a pain to remove, I recommend using a peel off base coat to remove it easily. 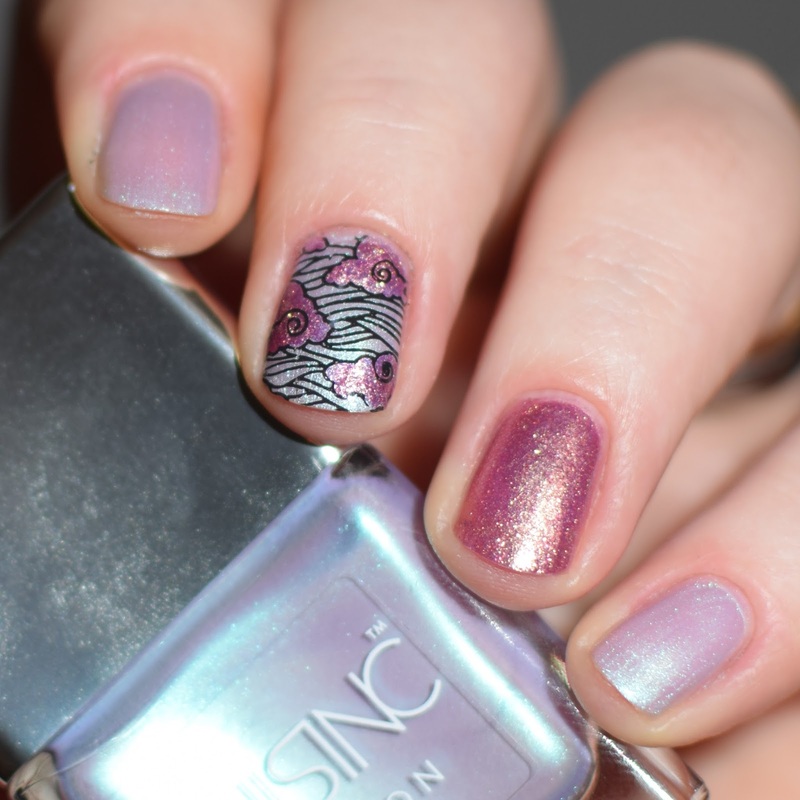 Both of the polishes are so pretty. They work so well as a duo, and complement each other so well. 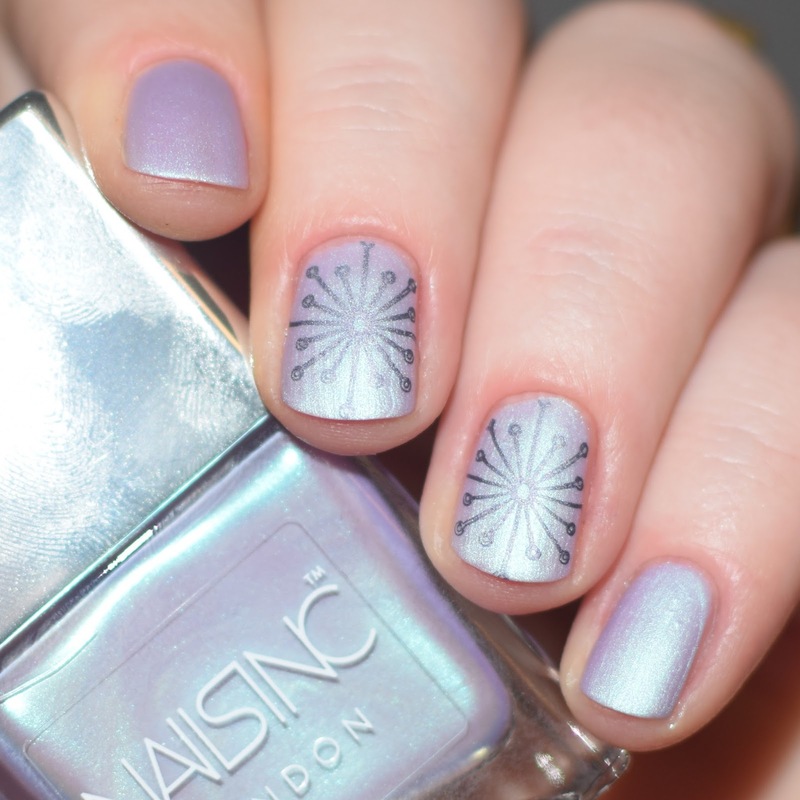 They work great together in nail art designs. I haven't gotten any new Nails Inc polishes for years, this is my first time using one of this style of bottles (which the mirror lip on the cap) and I must say that these are now my favourite brushes on any nail polish bottle. The brush is wide and makes application super easy... I will definitely be getting more Nails Inc polishes in the future. 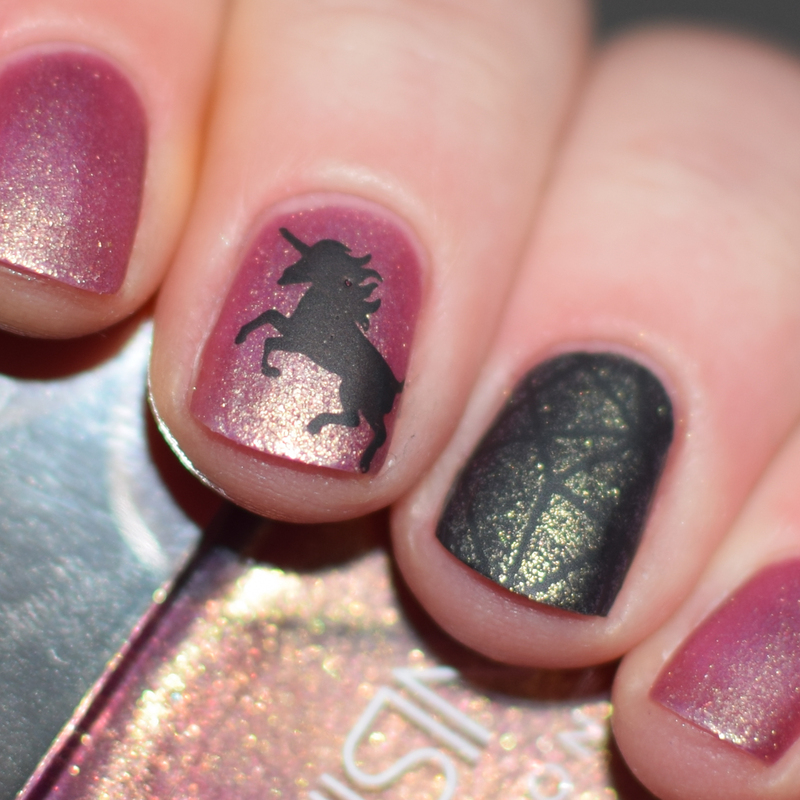 PLUS... how beautiful is Dream Dust used as a stamping polish over black!? The polish surprised me by being a great stamping polish and I was not expecting the result to be such a pretty golden/green shade. P.S. 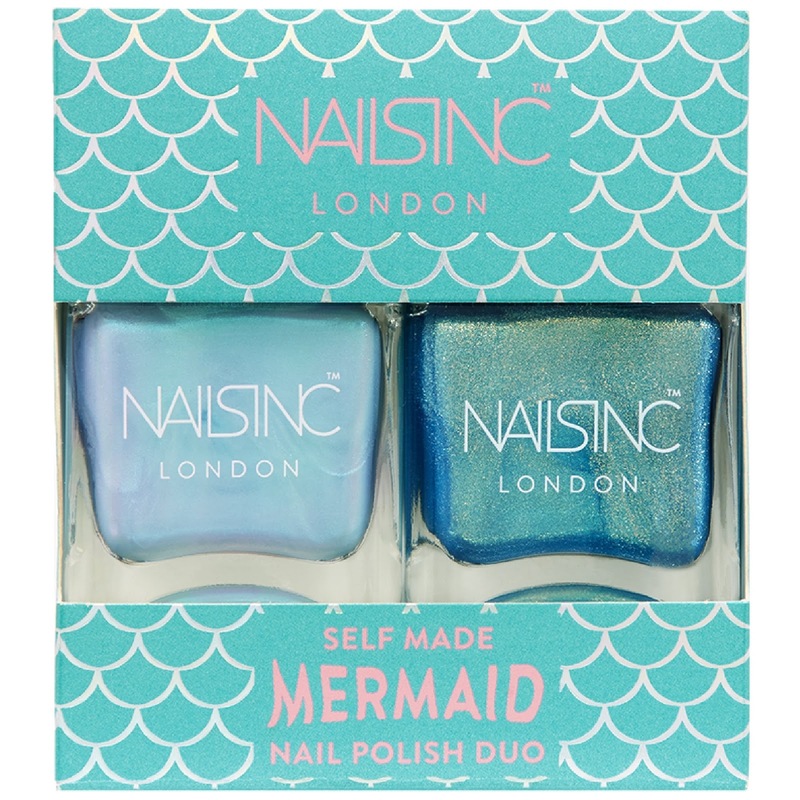 Nails Inc recently posted a photo of a Mermaid Duo on their instagram (like these but blue) and... OH. MY. GOSH. They look just as beautiful as these, and as a mermaid myself... 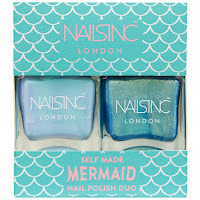 I will obviously need to get them for a swatch and review post once they're released.